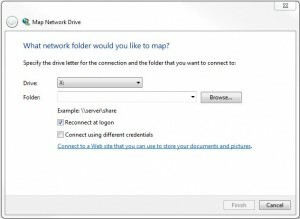 Open Windows Explorer and from the Tools menu, choose Map Network Drive. 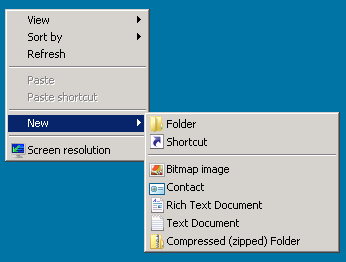 (You may need to hit the Alt key to see the Tools menu. 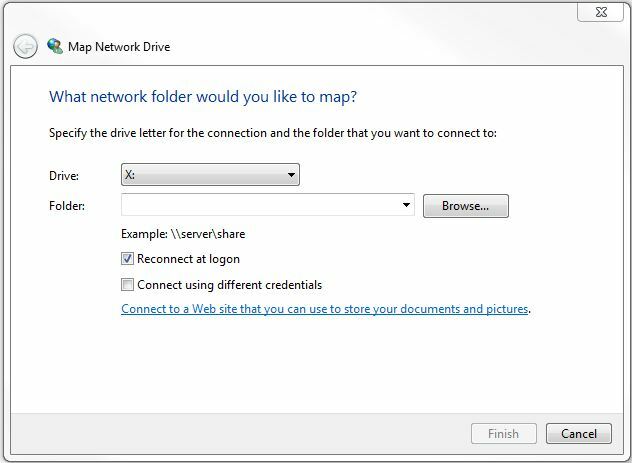 In the Map Network Drive dialogue, Choose a drive letter and then type in the address of the share you are mapping to. If you want this drive to be there each time you log into the computer, check the box that says Reconnect at logon. There is also an option here that says, Connect using different credentials. 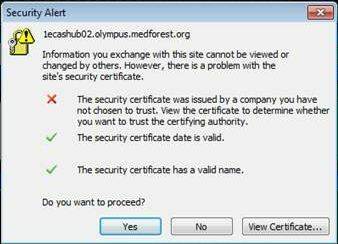 This is used when you are using a machine that’s logged in as one ID and need to make a connection that requires a different ID for security reasons. For example, using a computer connected to a common instrument you often use a generic shared ID to log into the machine, but then you can map a drive to your lab files from there using your own ID. In this case, you never want to check the box that says Reconnect at login, because that would make it so anyone who uses that machine has access to your lab files. Also use the search box at the top to locate the post about mountain lion and wireless if you are experiencing problems with that.